HomeblogInsurance-Covered Massage Alternative to Opioid Pain Management? With each passing day, people across The United States from all walks of life increasingly realize that we have a major opioid addiction epidemic in this country. In this article I will explore the notion that massage therapy should be part of the serious conversations that public health officials, medical professionals and insurance companies must have in order to address this health crisis. Opioids are prescribed to help manage acute and long term (chronic) pain. While they are effective at providing relief from pain, as we now increasingly understand, these narcotic pain killers, derived from the same plant that creates heroin, are extremely addictive and often deadly. Recent statistics show that we have tens of thousands of people in United States dying from overdoses of opioid based medication. Tens of thousands of other lives are damaged or destroyed each year as people fall into the depths of addiction. Each case a unique tragedy for the addict, their families and their community as a whole. The overall cost of the opioid epidemic is massive. Many years ago I wrote a blog talking about how difficult it can be to obtain therapeutic massage through regular health insurance for any type of health problem. I pointed out that even though massage is known to be an effective treatment for various conditions, in that instance citing the example of lowering blood pressure and preventing costly heart attacks, it was not being utilized or made available as a cost-effective treatment option. Not much has changed in recent years with respect to health insurance policies and massage. Despite some of the promises of the affordable care act (also known as Obamacare), which many felt would help to create more access to some alternative natural treatments like massage therapy, no significant changes have materialized. As it stands today, despite its demonstrated efficacy in treating a range of physical problems including chronic pain, for the most part massage is only covered to treat injuries through some worker’s compensation programs and auto insurance (depending on various state laws). The opioid epidemic provides another opportunity to discuss the availability, or lack thereof, of therapeutic massage as an alternative treatment for pain management, and breaking dependency on narcotics. The answer to why it is so difficult for insurance companies to bring themselves to start providing more access to treatments like massage therapy will depend on who you ask. Many would argue that it is the strong grip of pharmaceutical companies over the medical establishment that prevents a move away from these costly medications. It is hard to argue that this is not a factor when millions and millions of dollars are spent every year on lobbyists and campaign donations to politicians to garner support for pharmaceutical interests. Another realistic possibility is that insurance companies look at paying for a treatment like massage therapy and see something that could be over-prescribed and create a huge new expensive category of service. An ironic commonality between opioids and massage is that both can be pleasurable and enjoyed on certain levels even without the presence of any medical problem. There are few examples of this in medicine. In contrast look at physical therapy which, like massage, is a form of physical medicine and often drug-free. Yet most people do not find physical therapy to be particularly pleasurable or relaxing. It can be effective as a treatment but it’s usually looked upon as more of a necessary chore than something for patients to look forward to. Massage is often different. It’s much more likely that someone will find a massage to be pleasurable and relaxing, at least in part. The truth of the matter is; that’s actually a good thing! A deep relaxation response is helpful for healing on several physiological levels. Yet this is also why massage as medicine can be misused in cases when it may not, or may no longer meet the standard of “medical necessity”. Thus, for-profit insurance companies may have legitimate cost containment concerns when it comes to opening the floodgates of therapeutic massage as an insurance-covered therapy. The question then becomes; what happens to overall costs to provide healthcare (pain management specifically in this case) if massage therapy is available through regular health insurance as an alternative to opioid pain medication? It’s hard to argue that many, many people would not benefit from this, and many lives could be saved from the tragedy of drug addiction and overdoses. 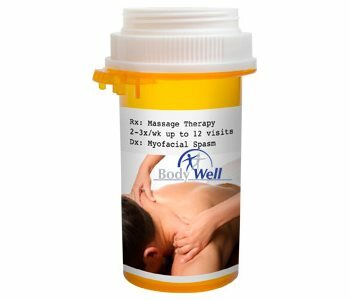 Also to be considered in arguing for more massage availability is the high cost of the drugs themselves, as well as the combined costs of treating drug addiction, consequent health problems, emergency medical services and overall costs to society resulting from prescription pain killer drug abuse. If made readily available, would massage become so overused (or misused) that the expense makes it an impractical option? How do these costs compare? These are big questions that require research, projections and analysis that go far beyond my ability to answer. Yet it is a question that we should answer! Everyone recognizes that we have a painkiller epidemic in this country. We have to talk about ways to solve that problem. Public health and medical experts must keep effective, drug-free alternative treatments like therapeutic massage in mind as we explore solutions to this challenge.